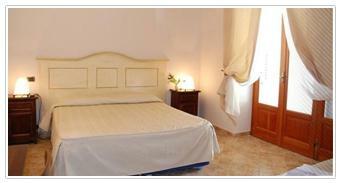 Hotel Villa Enrica Country Resort, Lipari (Island). Villa Enrica Country Resort Hotel Lipari (Island). Hotel Villa Enrica offers the possibility of enjoying the Aeolian Islands as you have never done before, at a few steps from Lipari and sea. Situated in Serra, in a splendid area with several hills, you can enjoy unique panoramas, splendid views over the bay of Marina Lunga di Lipari, in order to live the tranquillity of these magic timeless places. Ideal for those who love the nature, green areas, sea and want to discover the beauty of these places in the tranquillity, following the calm rhythm of the nature, but at the same time being located close to the city centre at just 15 minutes walking, Villa Enrica is perfect in order to regenerate your body and spirit among long walks in new and always different paths. The hotel is encircled by typical Mediterranean vegetation, where you will be immersed in the fragrances of the citrus, olive and almond trees. The peace of the nearby nature is perfectly joined together with the hotel, in order to meet your requirements. The structure is provided with every possible comfort and modern amenity, like: telephone, satellite TV, strongbox, mini bar, hairdryer in the bathroom and air conditioning. It is not all. In some rooms you can enjoy unique services, like: cooking area and hydro massage in a total independence. Moreover, the structure places at your disposal a splendid lounge, where you can enjoy marvellous panoramas, solarium, enchanting panoramic terrace, bar, reading room where you can relax and a free parking. Finally, we want to remind you that here you can find the Wi-Fi ADSL internet connection.